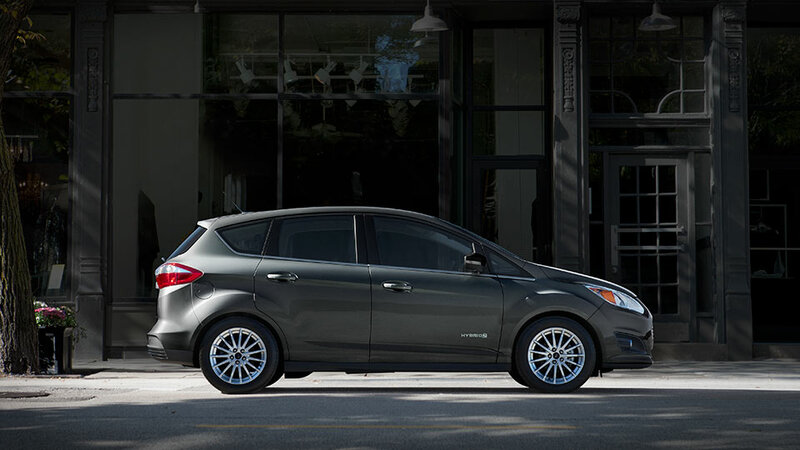 Think of C-MAX Energi Plug-In Hybrid as a “hybrid plus.” Featuring a state-of-the-art, lithium-ion battery and an electric motor with a gasoline engine, C-MAX Energi is designed for dynamic performance. 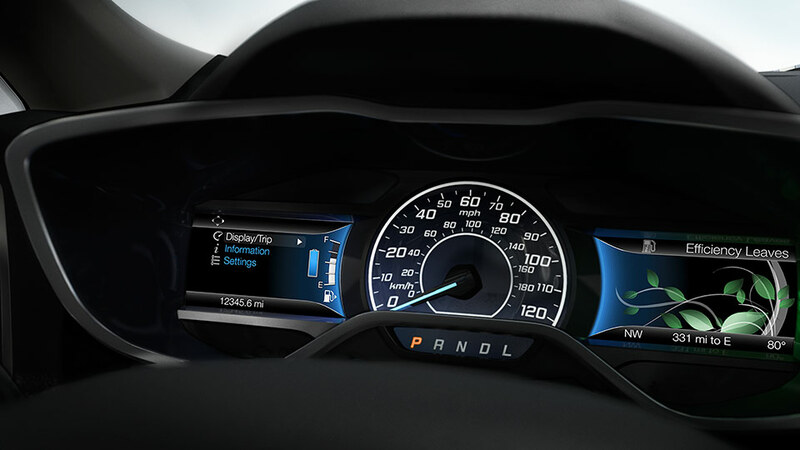 The dual-LCD next-generation SmartGauge with EcoGuide provides information to help you maximize efficiency from your C-MAX Hybrid or C-MAX Energi Plug-In Hybrid. 2016 C-MAX Hybrid SEL shown in Magnetic. 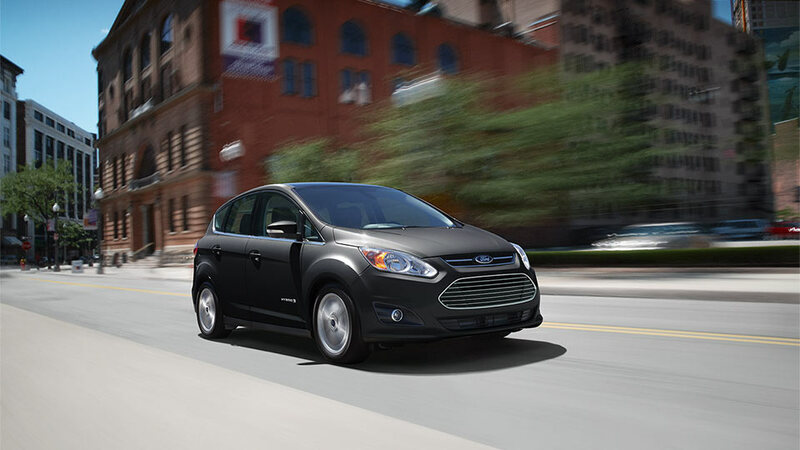 2016 C-MAX Hybrid SEL shown in Magnetic with available features. C-MAX Hybrid SEL in Kona Blue. 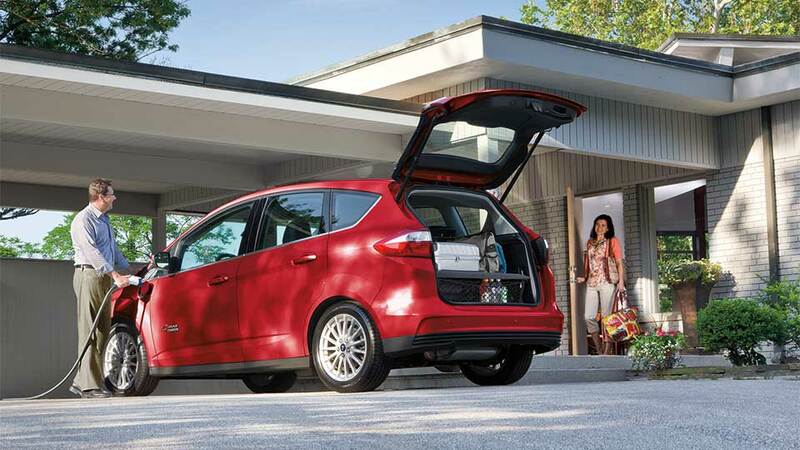 C-MAX Energi Plug-In Hybrid shown in Ruby Red Metallic Tinted Clearcoat with available 240-volt home charging station. 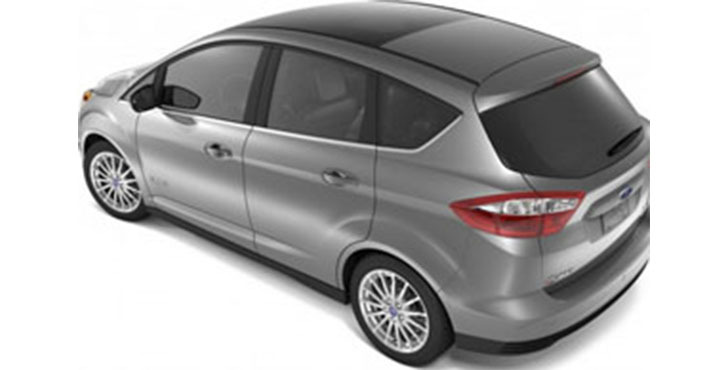 C-MAX Hybrid SEL shown in Oxford White with available roof rack and available window deflectors from Ford Accessories. 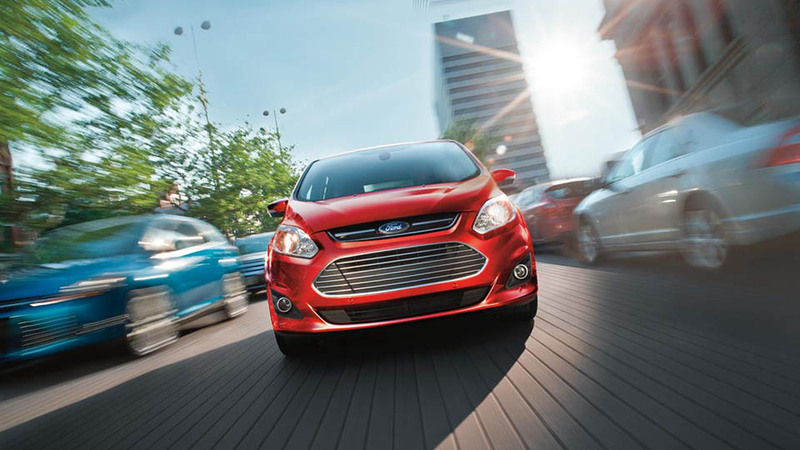 C-MAX Hybrid SEL shown in Ruby Red Metallic Tinted Clearcoat with available active park assist. 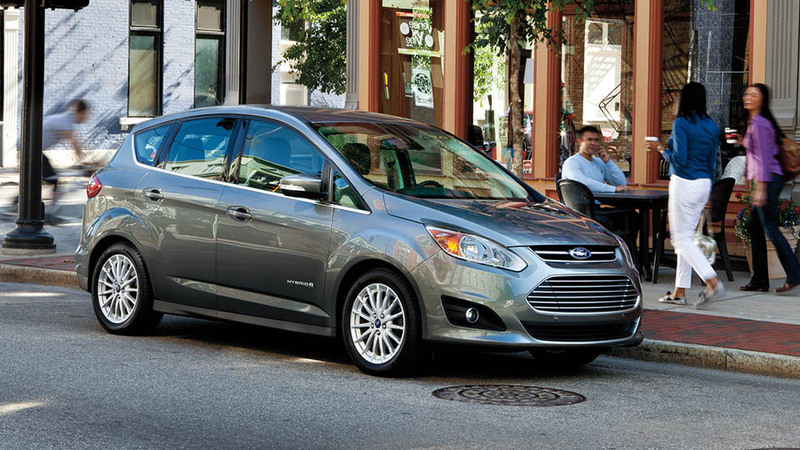 C-MAX Hybrid SEL shown in Magnetic. C-MAX Energi Plug-In Hybrid shown in Ruby Red Metallic Tinted Clearcoat. 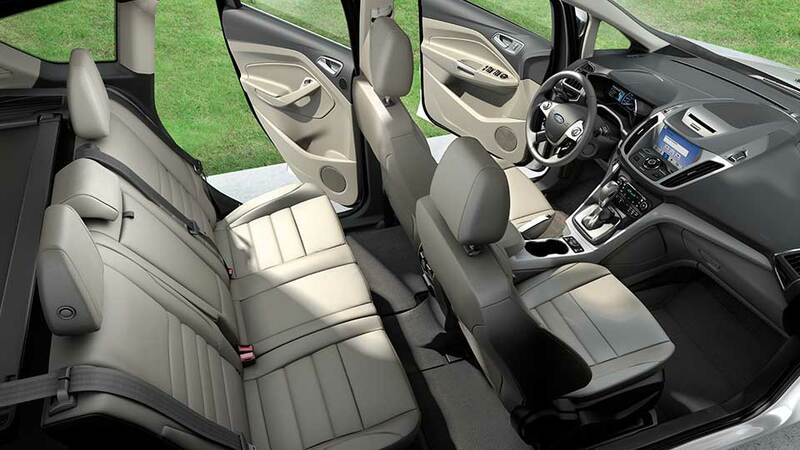 C-MAX Hybrid interior shown in Medium Light Stone with available leather-trimmed seats and Premium Combination Audio/Navigation System. The next-generation SmartGauge® with EcoGuide. 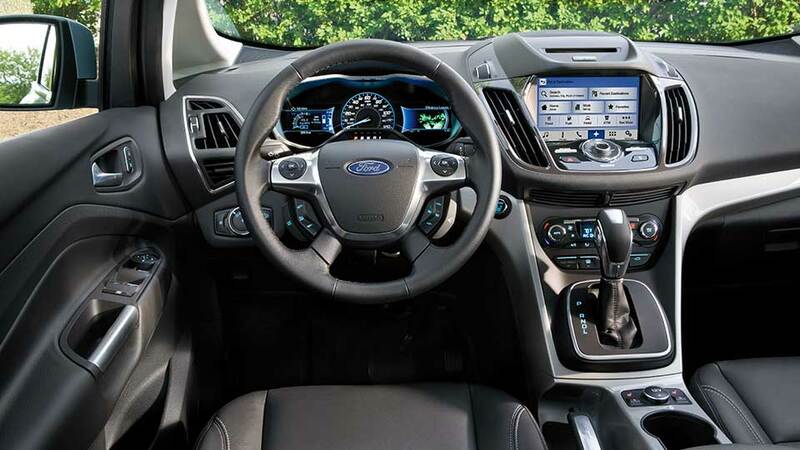 C-MAX Hybrid SEL interior in Charcoal Black with available leather-trimmed seats, and SYNC® 3, our next-generation of voice activated technology. **Available on select models. 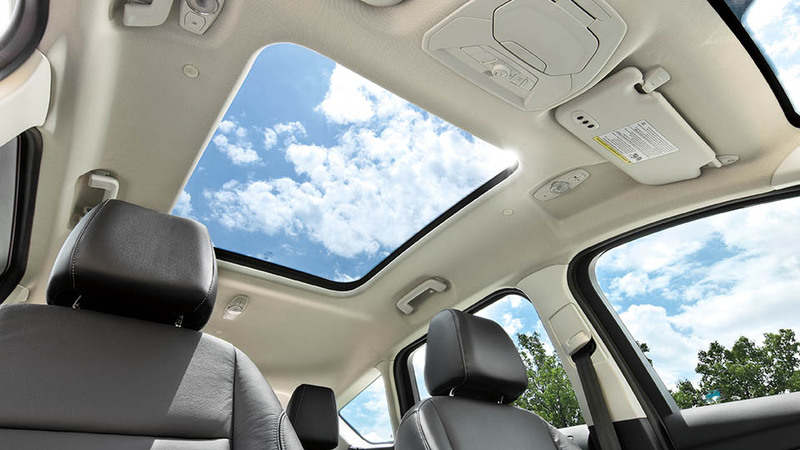 The available panoramic fixed-glass Vista Roof®. Second-row seat folded to make room for rear cargo*. *Hybrid model shown. 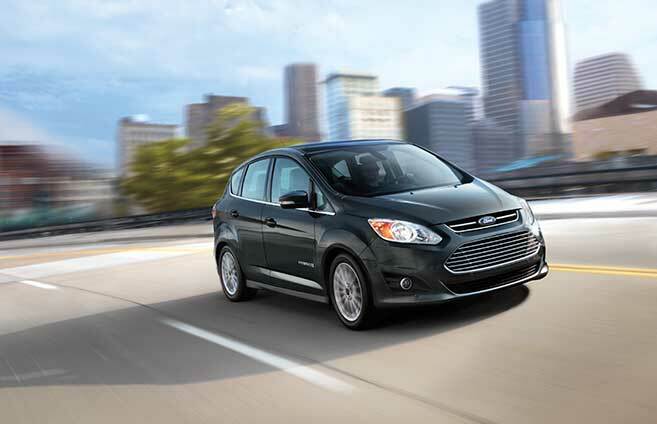 C-MAX Hybrid and C-MAX Energi Plug-In Hybrid have no gas cap to leave your hands dirty and smelly. See how simple it is to fuel your vehicle. 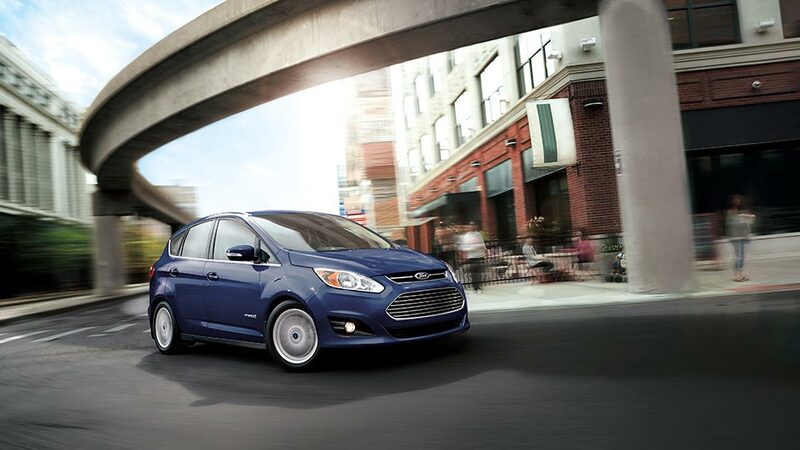 Unlock and start your C-MAX Hybrid or C-MAX Energi Plug-In Hybrid without ever having to take the keys out of your pocket or purse. MyKey® is an innovative system that can help others drive your vehicle more responsibly. 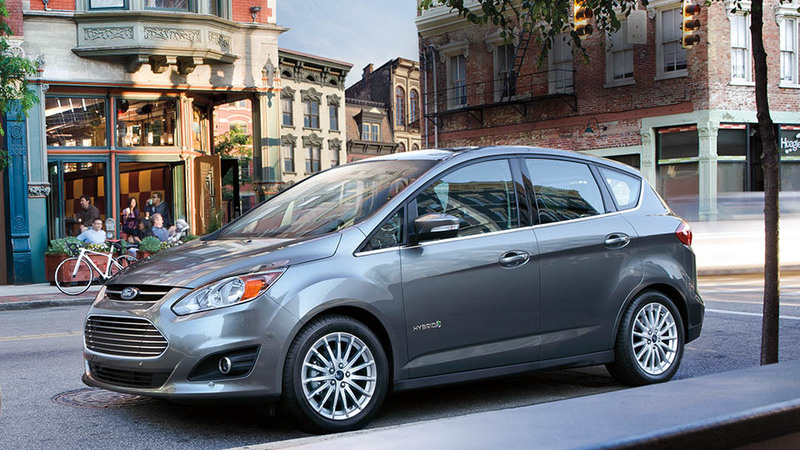 C-MAX Hybrid and C-MAX Energi Plug-in Hybrid feature hybrid technology that delivers a smart blend of power and efficiency. 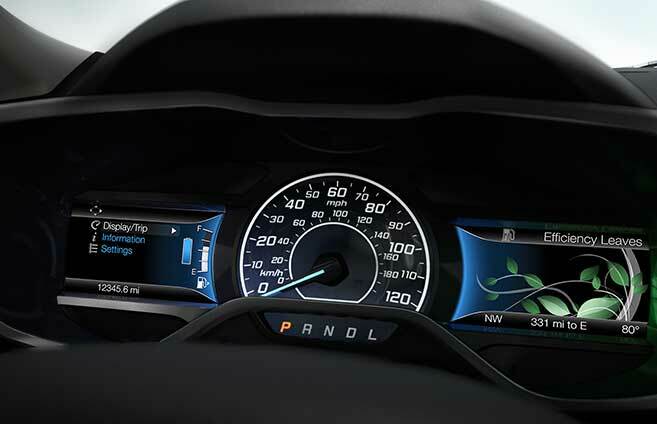 See how this technology allows both vehicles to operate in speeds up to 85 mph in all-electric mode. 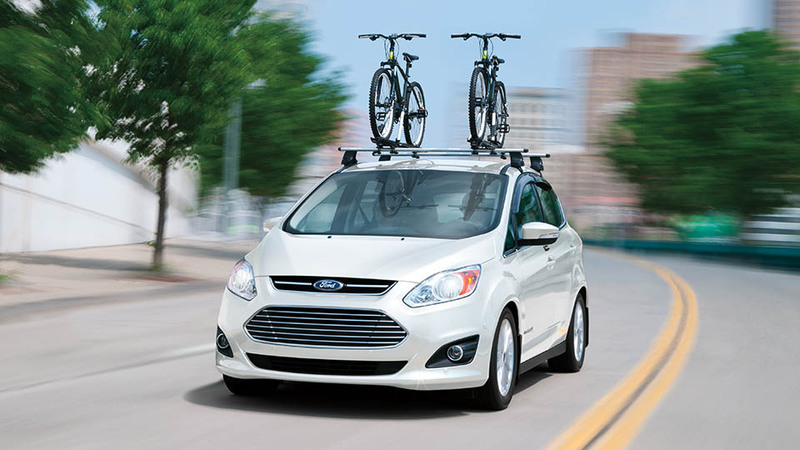 C-MAX Hybrid and C-MAX Energi Plug-In Hybrid are clever multi-activity vehicles. See how versatile they are. With the available Intelligent Access key in your pocket or purse, just kick your foot under the bumper and the foot-activated, hands-free liftgate will automatically open, providing easy access to the cargo area. This is especially helpful when your arms are full. 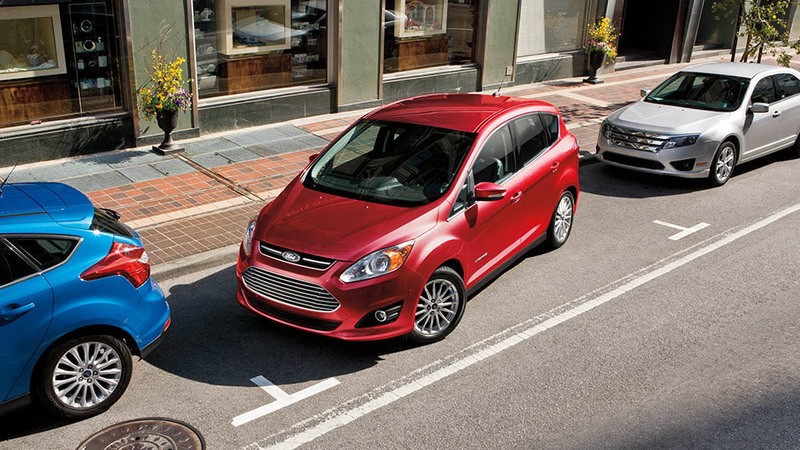 Available active park assist* is designed to help make parallel parking a breeze. 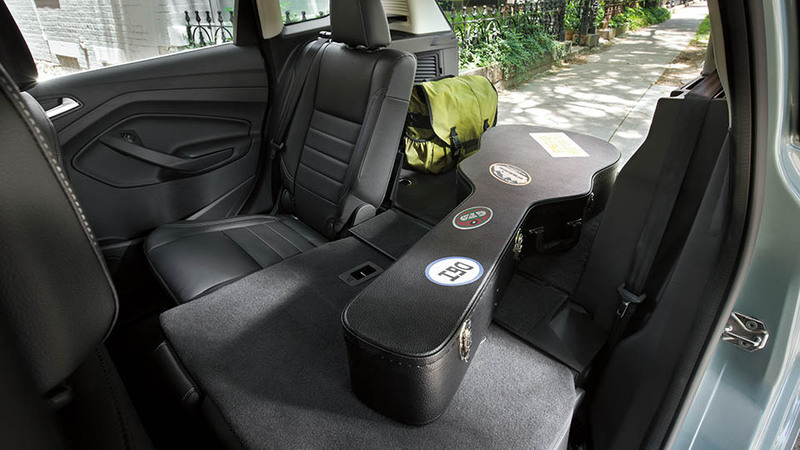 Both C-MAX Hybrid and C-MAX Energi plug-in hybrid have versatile and comfortable second-row seats that fold for carrying cargo. 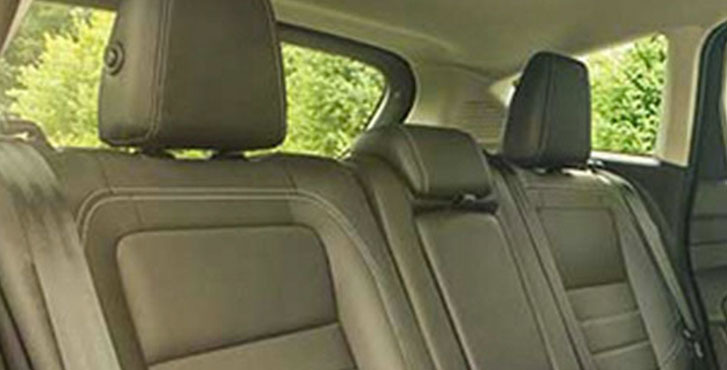 C-MAX Hybrid SE and C-MAX Energi SE feature standard cloth seats. 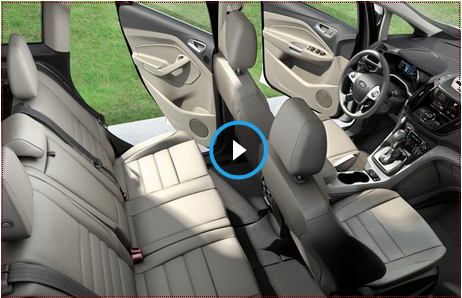 C-MAX Hybrid Titanium and C-MAX Energi Titanium have standard leather-trimmed seats. 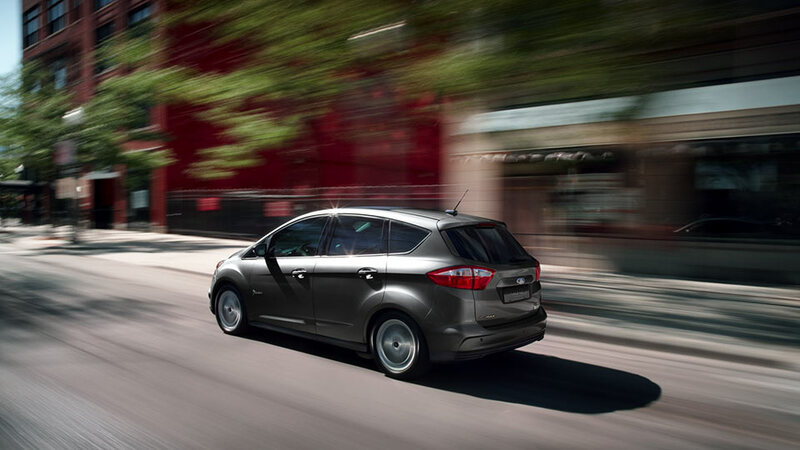 Both C-MAX Hybrid and C-MAX Energi Plug-In Hybrid have a versatile interior. *Class is Small Hybrid Vehicles. 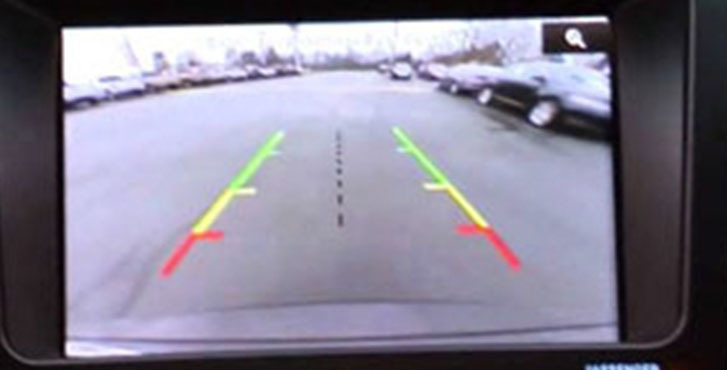 With the standard 2016 Ford C-MAX Backup Camera, you can check what is behind you with ease, making parking much easier. 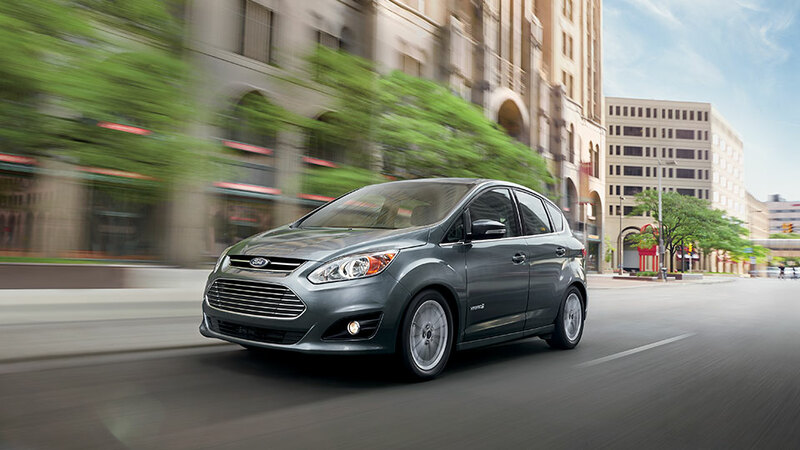 The 2016 Ford C-MAX has seven airbags, including a driver's knee bag, and the usual range of now-standard safety equipment. 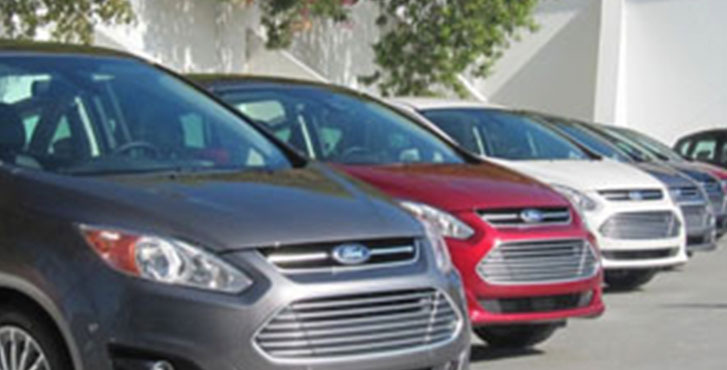 The IIHS gives the C-Max mostly good scores in its testing, however the lack of any forward-crash prevention systems keeps it from the agency's top awards. It gets a four-star overall rating from the NHTSA, with four stars for frontal crash and roof strength but five for side impact.